It’s the biggest single day open water swimming event in the country. Children with Cancer UK, the UK’s leading national cancer charity dedicated to fighting the injustice of cancer in children and young people, is to become the headline partner of Swim Serpentine, the biggest single day open water swimming event in the country, for the next three years (up to and including the 2021 event). The first Children with Cancer UK Swim Serpentine, organised by London Marathon Events Ltd, will take place on Saturday 21 September 2019. 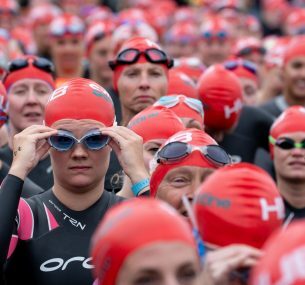 The day will feature open water swimming events in the Serpentine Lake in Hyde Park over a range of distances, including ½ mile, one mile, two miles, six miles and a free Wellness Festival in Hyde Park. Swim Serpentine, organised by London Marathon Events Ltd, was first held in 2016 and has rapidly grown to become the UK’s top single day open water swimming event with more than 6,000 entries for the 2018 event. Founded in 1988, Children with Cancer UK actively raises and invests money for vital specialist research to improve survival rates and the quality of survival in young cancer patients and to find ways to prevent cancer in the future. Every year it invests more than £4 million in research into childhood cancers, as well as raising awareness and providing funding for practical support for young cancer patients and their families. We are delighted to partner with Swim Serpentine – organised by London Marathon Events Ltd – for the first time in 2019. Mass participation events are hugely important to us, generating £4.8million in 2018. We hope that the partnership will raise much needed awareness of our life-saving research and welfare projects supporting young cancer patients and keeping their families together. We are delighted to be creating this innovative partnership with Children with Cancer UK to raise funds and awareness for their vital work. We have a very longstanding working relationship with Children with Cancer UK and we are proud to have helped them to raise £40 million through the London Marathon since the year 2000. Entries for Children with Cancer UK Swim Serpentine will open from 10am on the morning of Monday 4 February at www.swimserpentine.co.uk. The first Children with Cancer UK Swim Serpentine, organised by London Marathon Events Ltd, will take place on Saturday 21 September 2019.